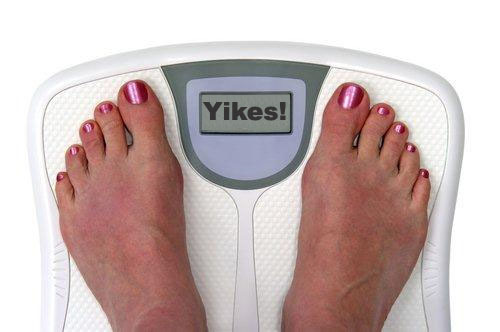 ‘Tis the Season.. To Be At Your HEAVIEST? I can’t even keep track anymore of how many clients and friends have told me, “I’m at the heaviest I have ever been”! …and I can relate!! I am weighing in 10-15 pounds heavier than what I’ve always known my body to be comfortable at. Ugh! It raises frustration and begs the question: WHAT GIVES?! No, seriously, what gives? The first step in starting a weight-loss journey is uncovering what brought you to where you’re at now in the first place. Without unveiling and tackling the WHY it’s almost guaranteed that we’ll end up right where we started within a year or so of achieving weight loss (ever been a cyclic, roller-coaster-style dieter?). So… let’s figure this out!! Here are some of the most common roots of weight gain and obesity that I see in my practice. Do you relate? Lack of Self-Love: The number one root cause of weight gain in my eyes is the lack of self-love. And as soon as we fully love and embrace ourselves in our rawest, most vulnerable state… we realize how deserving our body is to be in its perfect state of health. LOVE thy self. Toxic Overload: Number two culprit! We are all exposed to toxins throughout our day-to-day lives. Toxins are in the foods we consume, the cleaning products we use and the air we breathe! Guess what stores toxins?! FAT cells. Our bodies naturally hold on to and build additional fat cells to keep up with our toxic load. This is why detoxing on a regular basis is essential to healthy body weight and a healthy life! Food Addiction: Seriously!! They say that sugar is just as –if not MORE– addicting that cocaine. HELLO?! Also, many processed foods are now chemically engineered to be addicting so we are more motivated to BUY and consume more! Recognizing the addiction aspect of junk foods is a great first step in eliminating them. Are YOU at your heaviest? Or just plain unhappy about where your body is at from a health standpoint? Let’s figure this out TOGETHER! …’Tis the season!